Freedom Road Creative Arts win the regional Princes Trust Community Impact Award at the Royal Armouries in Leeds. 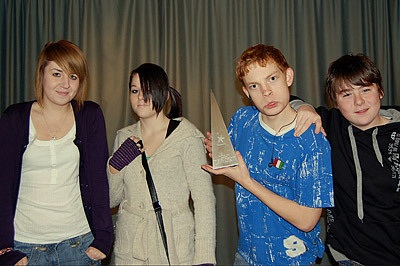 from right to left Becky, Sammy, Matt and Lewis. On November 4th FRCA representatives Matt, Gary and Becky travelled to the Royal Armouries in Leeds to attend the Princes Trusts' Celebrate Success event. On behalf of the Charity they collected the Community Impact Award for the Yorkshire region from Look Norths Harry Gratian and Christa Ackroyd and sponsored by NATWEST. 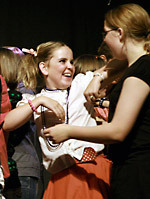 This was in recognition of the young people's work in producing a series of short pantomimes in late 2007. 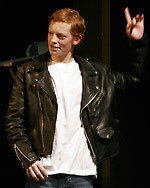 The Pantomimes were performed at the Freedom Centre in December that year. Celebrate Success recognise young people's success in education, skills development, employment, enterprise and community. There are two key stages to Celebrate Success. The first: a series of awards events that take place across the UK regions and countries in autumn 2008 which we have now won. 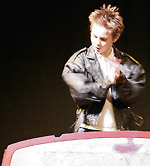 The second: the UK finals in early 2009. Winners from region and country events become nominees for the UK finals, with three winners making up the final shortlist for each category. So watch this space as the group travel to London in early 2009 for the national finals.